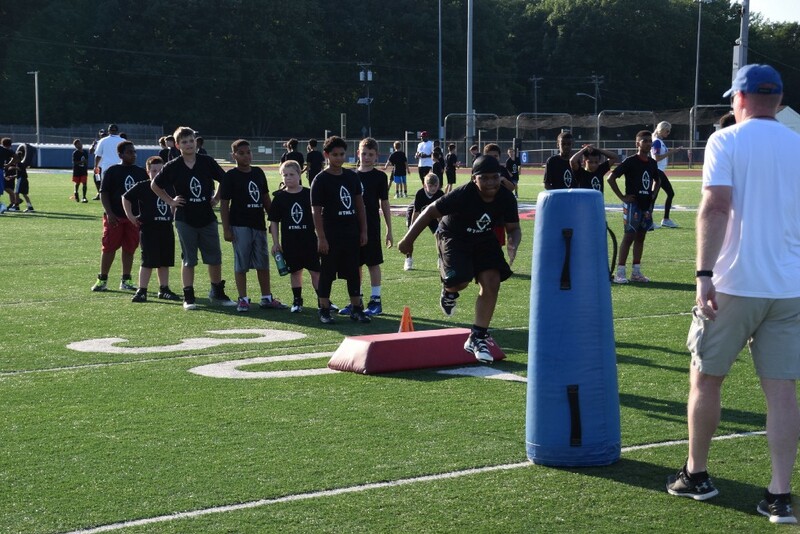 The two Eastern alumni hosted their second Thursday Night Lights football camp, a free event where 350 local youth football players got a chance to refine their skills and learn from the pros. Left: Logan Ryan gets warmed up alongside the youth players. Right: Eli Apple worked with some of the youth players on drills. NFL cornerbacks and Eastern Regional High School alumni Logan Ryan and Eli Apple have played on some of the biggest stages in football. Both of them have banners hanging in the Eastern gymnasium, Ryan for being a two-time Super Bowl champion with the New England Patriots and Apple for winning a college football national championship at Ohio State. While both players have had plenty of good memories during their football careers, they also remember what it was like to pick up the sport as a young kid. 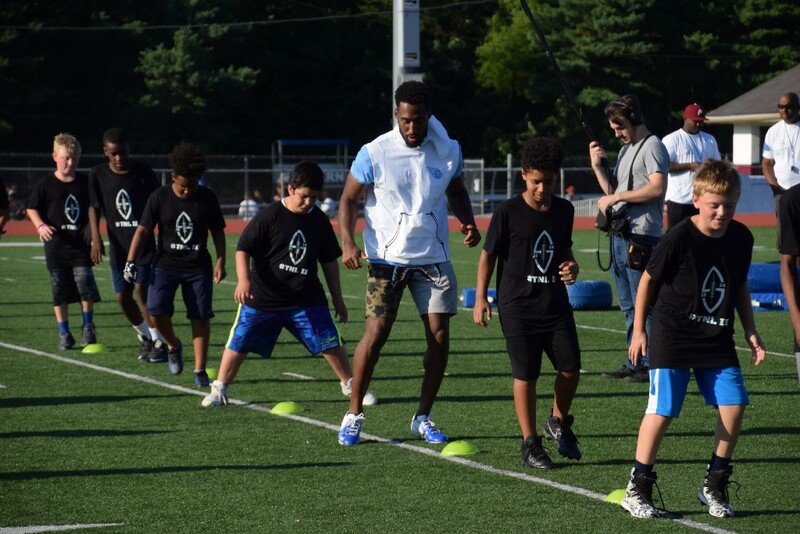 On June 28, Ryan and Apple gave back to the South Jersey community as they hosted their second Thursday Night Lights football camp at Eastern. 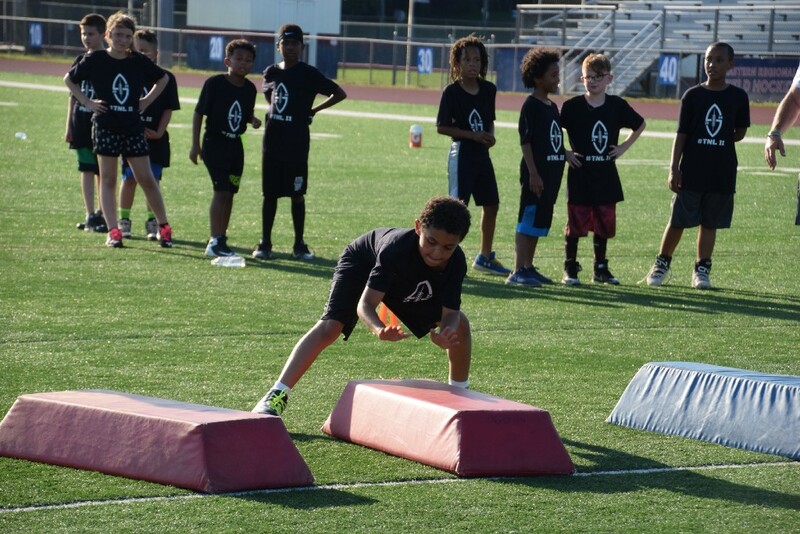 This free football camp allowed youth football players from ages 8 to 18 to compete in workouts and drills, learn more about the fundamentals about the game and find out what it takes to become a pro football player. Ryan and Apple hosted the camp for the first time in 2017. Some 350 kids came out to the inaugural event last year. This year, the event filled up again, with 350 kids participating alongside about 50 coaches and other volunteers, many who share a personal connection with Ryan and Apple. 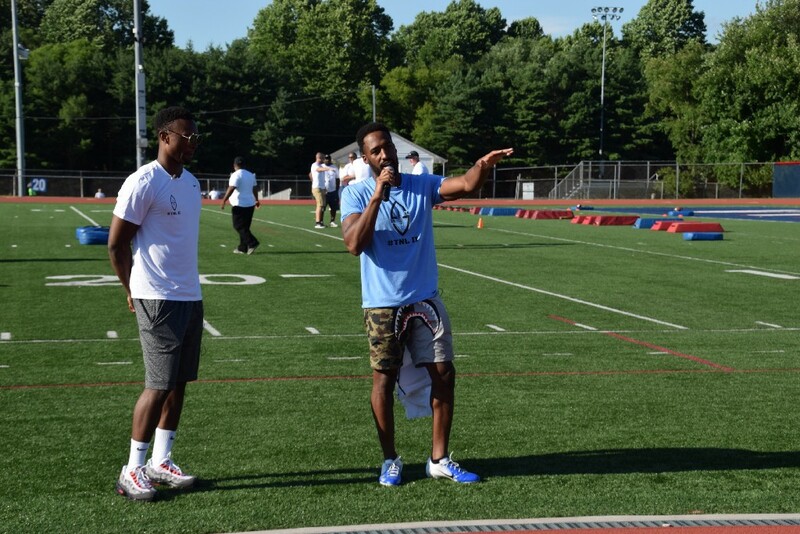 Logan Ryan (right) talks to the players at the start of the camp as Eli Apple (left) looks on. The camp was free to attend, with youth players simply needing to fill out a form to reserve a spot prior to the event. Ryan and Apple fund the entire cost of the camp and both felt it was important to keep the event free so it would be open to anyone. “Anybody that loves football, that wants to see me and Eli, that wants to push themselves with their peers and see what it takes to become a pro can come out,” Ryan said. Ryan and Apple share a lot of things in common. Both of them played cornerback and left college after their third year to enter the NFL Draft. Ryan was a third round pick for the New England Patriots in 2013 and spent four years with the team. He signed a three-year contract with the Tennessee Titans last year and is entering his sixth NFL season. Apple was a first round draft pick for the New York Giants in 2016 after having two successful seasons at Ohio State. He spent his last two seasons with the team and is entering his third season in New York. Though they didn’t play on the high school team together, Ryan and Apple have a strong relationship. The two began training together during Ryan’s final years at Eastern after Apple’s family reached out to him. 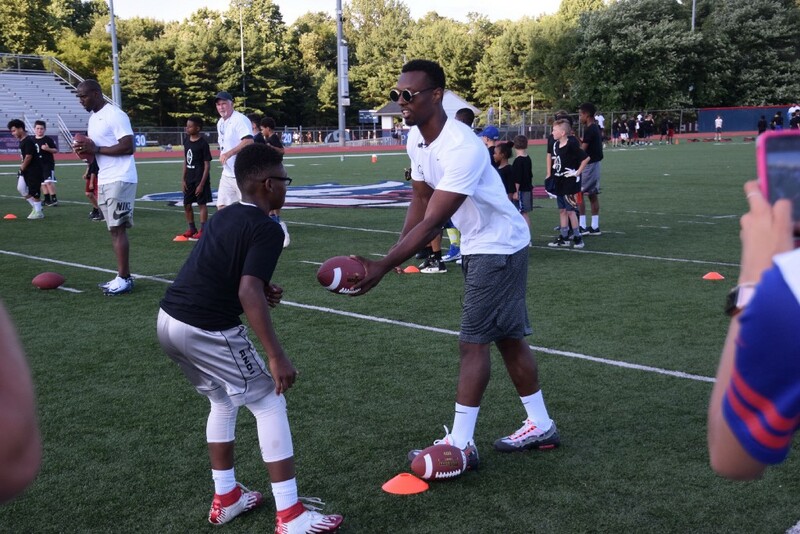 Teaching the fundamentals was an important part to the camp. Ryan said learning the fundamentals at a young age were crucial to his future success and a number of his youth coaches were at the camp this year to teach the next generation of players. Apple noted the camp isn’t just about football. He felt it was important to teach the kids how hard work and determination can help someone achieve their goals in all different aspects of life. “The main thing is to make sure they’re enjoying football and not making it to serious now, but just knowing that if you keep working, you can get somewhere,” Apple said.